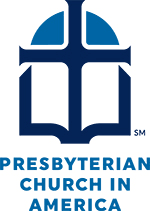 Westminster is a member of the Blue Ridge Presbytery of the Presbyterian Church in America (PCA). The PCA was founded in 1973 in response to the need for a scriptural, evangelical, and reformed witness to Christ. As a denomination, the PCA seeks to be “Faithful to the Scriptures, True to the Reformed Faith, and Obedient to the Great Commission of Jesus Christ.” More information can be found on the PCA website: www.pcanet.org. There are currently twenty-three other churches in the Blue Ridge Presbytery of the PCA. More information can be found on the Presbytery website. Westminster is not the only PCA church in Roanoke. Our sister church, Christ the King PCA, is located in Southwest Roanoke. The website for that congregation is www.ctkroanoke.org.